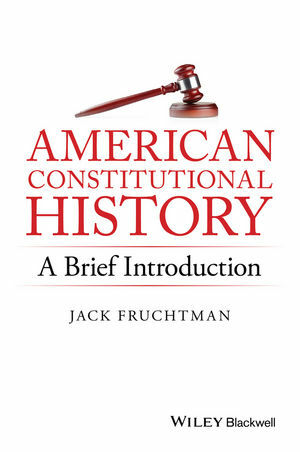 American Constitutional History presents a concise introduction to the constitutional developments that have taken place over the past 225 years, treating trends from history, law, and political science. Jack Fruchtman is Professor of Political Science and Director of the Program in Law and American Civilization at Towson University, Maryland. His most recent books include The Political Philosophy of Thomas Paine (2009) and The Supreme Court: Rulings on American Government and Society (2nd Edition, 2014).